There should be no reason to apologize if you like to treat yourself to something special, so to speak, on an occasional or even a regular basis; you work hard for your money, and with the tax collectors and service providers waiting gleefully for a significant portion of your pay each month, you should not be faulted if you chose to pamper yourself and your family with some of your remaining balance/savings. Sometimes, you could decide to spend that money on something immediate or short-term, such as dinner at a five-star restaurant or perhaps a vacation or weekend getaway; at other times, though, your thoughts might lean toward a longer-term investment like a new car, a piece of custom jewelry, or home improvement. And while these latter examples are viable options in their own right, you could also consider adding high-quality furniture to that mix. The furniture in your home is used each and every day, and associated with that routine use are expectations of comfort and reliable performance. However, countless stories abound of people who bought what they believed to be high-quality furniture, only to learn that their hard-earned money had been spent in error; as a result, they had to either buy furniture again much sooner than planned or live with the disappointment of their initial purchase. Is a table made from natural wood or some type of wood by-product or facsimile? Is a sofa/chair upholstered in actual leather or just give the appearance of leather? Is the fabric tough and hard-wearing or is it one that tends to wear-and-tear easily? Does the piece have the ability to serve more than one purpose now or in the future? In the case of damage (always a possibility), can it be repaired or refinished as new? Whether you are shopping for a solitary piece, a suite, or an entire complement of furniture for a new home, investing in high-quality furniture will deliver long-term return in relation to your comfort and lifestyle, not to mention avoiding the headaches of sub-standard products. 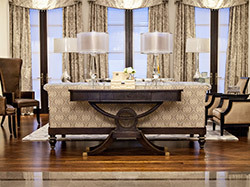 As suggested above, your investment in high-end furniture begins with a proper investment of time and research to make the best decision; and part of that time and research includes visiting furniture stores in Toronto to compare and contrast different pieces before a buying decision is made. 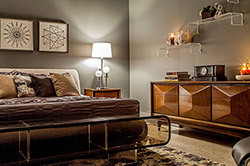 To help alleviate the time element, without compromising the research aspect, you may find it beneficial to visit Carrocel’s 20,000 square-foot furniture showroom, centrally located at 245 Bridgeland Avenue near the Yorkdale Mall in Toronto. Here, you can gain a first-hand appreciation of the exquisitely-designed high-quality furniture within our inventory, all on a single showroom floor. By investing in high-quality furniture, you can save money in the long run while also making a home décor statement, and enhancing your personal comfort and lifestyle. Call the high-end furniture specialists from the Carrocel store at 416-999-2525 today or contact us to schedule a complimentary consultation in our 20,000 square-foot furniture showroom on Bridgeland Avenue in Toronto.